Visit the official Zorro site for more infomation about current projects featuring the masked legend. This site features a chronology of events in Zorro's life placed on an actual timeline with dates. This site is the best source for information about the actor Frank Langella. 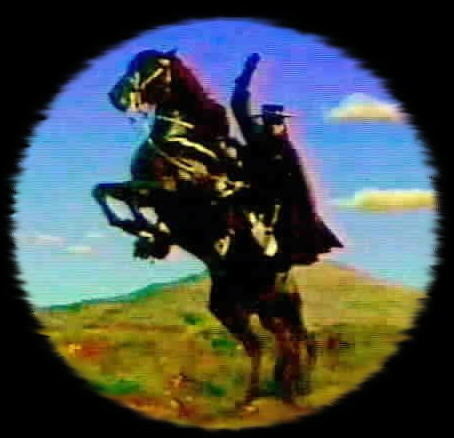 TheRaider.net reviews the movie serial Zorro Rides Again. ImagesJournal.com reviews the movie serial Zorro's Fighting Legion. TheRaider.net reviews the movie serial Zorro's Fighting Legion. Bill Cotter's site is one of the best sources for infomation concerning the Disney Zorro television series. This page features a brief synopsis of the Zorro and Son series. This Zorro site focuses on both the Disney and New World Zorro television series. Karen has put together a fantastic site that comprehensively reviews the career of Duncan Regehr. Journey through the history of Zorro as the different versions of Zorro are compared and contrasted and see how the legend has changed and developed throughout more than 80 years of cinema, television, and stories. This site features New World Zorro fanfiction and cast bios. More New World Zorro fanfiction is available on this site. Henry Darrow's site contains his biography and many great photos. This site has information about Henry Darrow's official biography. Peter Diamond's official site features his filmography, biography, and exclusive behind-the-scenes photographs. Pam has some great stories that continue where the New World series leaves off. This site features New World Zorro fanfiction.